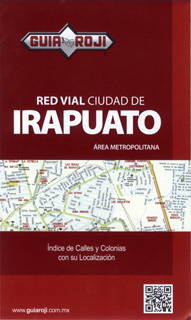 Detailed street map of Irapuato, Guanajuato. A detailed index is included on the back. Scale 1:20,000.